In addition to our regular holiday prison visitations, a member of Chabad Lubavitch will visit any local Correctional Facility to spend time with the Jewish inmates in Torah discussion group, putting on Tefillin and holding a prayer service. Chabad Lubavitch visits Jewish patients, whether affiliated or not, at the local hospitals, to recite a prayer, get the Hebrew name for the "Mi-Sheberach" to be recited in the synagogue, and offer any other assistance that might be needed. If you know anyone who would enjoy a Retirement Home visit, please let us know! 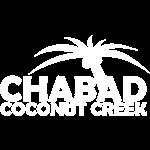 Chabad Lubavitch offers private counseling in all matters of Jewish life.